In early 2013 over 1,000 people were killed in the devastating factory collapse of Rana Plaza in Bangladesh. The event left another 2,000 injured and even more wondering how the factory conditions could get to the point of collapse. This accident and other recent scandals — such as the discovery of deplorable working conditions at Foxconn, Apple’s largest manufacturer — have significantly influenced the American perception of overseas production and contributed to the rise of Ethical Consumerism in the US. It is incredibly important that we understand the conditions under which our clothing is made and we should be thankful that media outlets are shedding a light on these instances of dangerous working conditions. With this information we can all make better purchasing decisions that allow us to align our money with our values. However, with most media today, stories that shock and awe are the ones that are most shared and most read. The widely-publicized coverage of Rana Plaza and Foxconn has come to define the overseas manufacturing industry. In reality, the media is showing only a fraction of what foreign production is really like and, in turn, it is putting an ugly spin on an industry that deserves a lot more. The best part of my job is working with and traveling with my colleague, Abby, pictured here. I have worked in sourcing and manufacturing for three years. 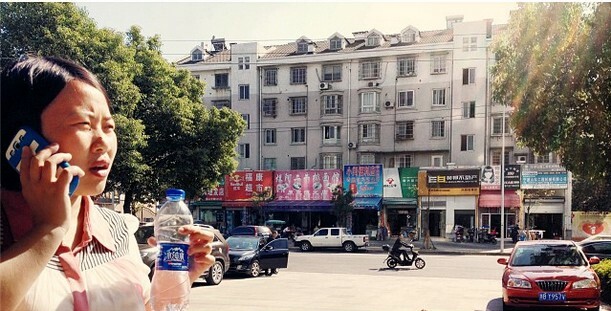 I have traveled to China and visited several factories on behalf of our clients. My experience has taught me that not all factories are deplorable facilities managed by evil people looking to make a buck wherever possible. On the contrary, the vast majority of factories are trying to do good work. Well-managed factories consistently strive to make quality product with healthy workers in a safe environment, all while trying to grow their businesses. My time spent in China working with my Chinese colleagues has been eye-opening. My experience there has dispelled many of the misconceptions I previously held and taught me that the bad conditions and mistreatment of workers we see from the media are the exception, not the rule. Below, are 5 commonly held misconceptions about manufacturing in China. I share some of my experiences in an effort to paint a more accurate picture of the industry. A sunlight filled room in the factory in Hangzhou. 1). Chinese factory conditions are horrible. In any industry, there are good guys and there are bad guys. We can’t deny there are factories in China and throughout the world (including the US), that look to cut costs at the expense of their facilities. Factory buildings do not have proper ventilation or lighting. Poorly maintained machinery causes workplace accidents. The managers and owners of these factories are the bad guys. Thankfully, these guys are the exception. There are many factory owners and managers that care deeply about conditions of their factories. While visiting apparel factories last November, I had the pleasure of visiting some of the most well-run manufacturing facilities I’ve ever seen. For example, the factory we work with outside of Hangzhou takes pride in all of their work, from the maintenance of the facility to employee health and compensation to the garments they produce each and every day. Every room has windows and exposure to natural light. All of the machinery is top-of-the-line. There are clearly marked emergency exits. I see it as my responsibility, as the manager of a business that relies on the highest-quality manufacturing, to find and locate the good guys. Those are the people we want to work with everyday. 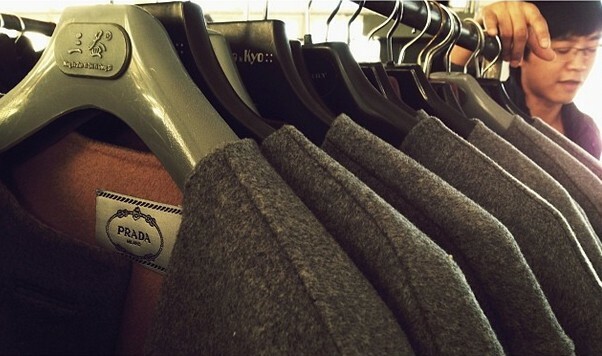 A Chinese factory that produces wool coats for Prada and Burberry. 2). If it says “Made in China” it must be junk. When a product we own rips or breaks, we have a tendency to blame it on the fact that it was made in China. The truth is there’s a wide range of Chinese-made product sold in the US, including both cheap, low-quality items and expensive, high-quality items. There are Chinese factories that specialize in making inexpensive garments and there are factories that specialize in making luxury garments. You just have to find a factory that matches your needs and specifications. 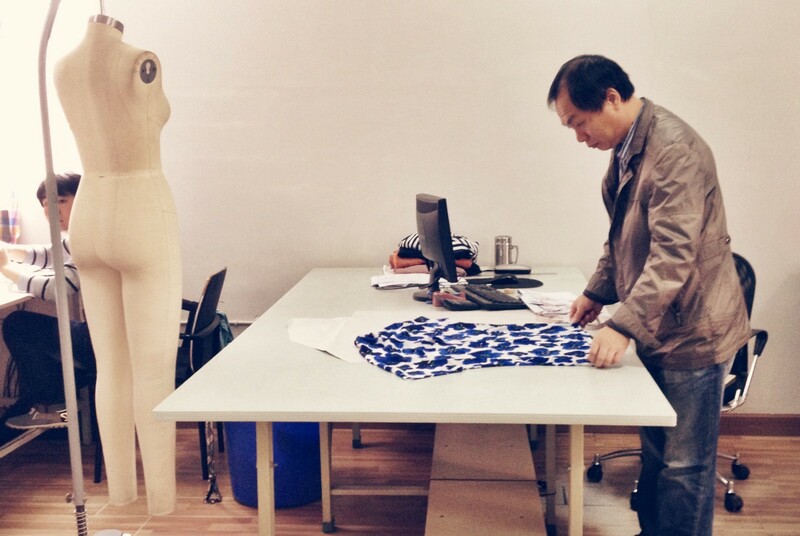 Our factory in Hangzhou is completely unwilling to compromise on quality in order to deliver a less-expensive garment. This was one of the first things they told us when we met at their office. If we were to request that they make an $8 dress, they would simply say “No, that is not the type of manufacturing we do.” It is not only a generalization, but it is also rude, to assume that factories in China do not have their own personal values and reputation they want to preserve. My colleagues discussing how to improve the sewing process with a sewing machine operator. 3). Chinese workers are not paid fairly and are slaves to their factories. The men and women who work at the factory outside of Hangzhou choose to work for a company that takes pride in the garments they produce. The reputation of the factory attracts experienced workers. They provide at least one month’s worth of sewing training to all employees. The production manager insists on a clean and organized production floor; an expression of the pride they take in their workspace. The company philosophy is “People Oriented, Value Created” and this is the guiding principle for all of their business decisions. I was so impressed by the caliber of the factory that I plan on spending two weeks there this summer to work with them hands-on and learn from their production process. 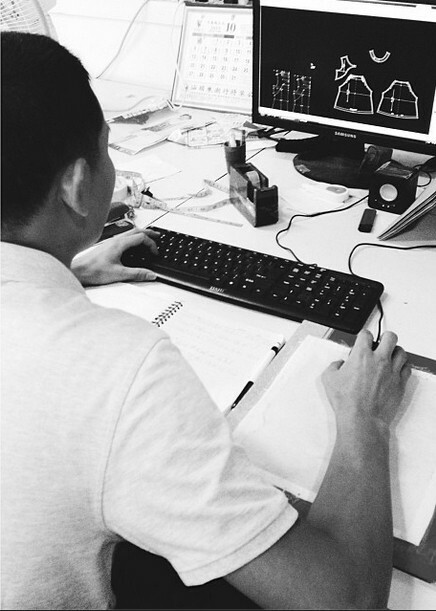 At the factory in China, a young Chinese man operates a CAD program for pattern drafting. 4) American companies manufacture in China because labor is cheap. Truth be told, producing in China is not as cheap as it was even 5 years ago. Rising wages in addition to the rising value of the renminbi have made the price of manufacturing in China increase. The Chinese Yuan is now the second most used currency in the world after the US dollar. As a result, China is now seeing some “offshoring” from their factories to countries that have lower wages. Vietnam, Cambodia, Thailand, and the Philippines boast some of the lowest minimum wages in the garment industry. While these countries may have a vast supply of cheap labor, they do not have the same infrastructure and experience in clothing manufacturing as China. Quality control, communication, and sourcing suffer at factories in these younger, developing nations. 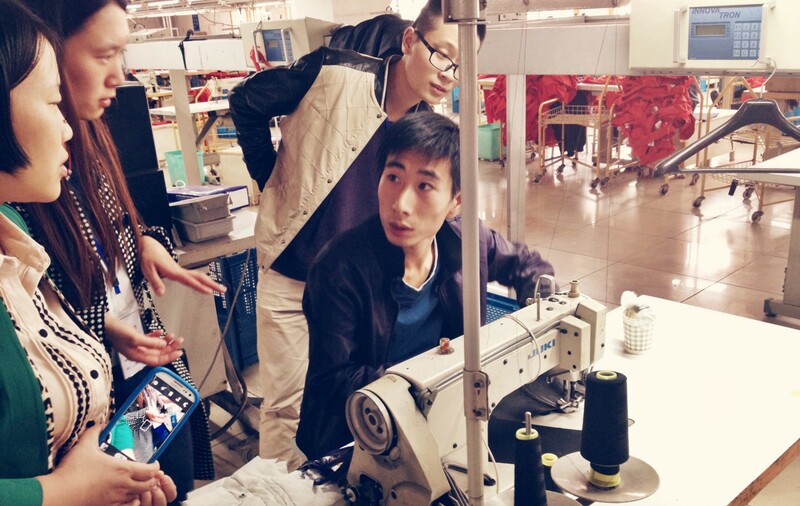 Surprisingly, it is actually high-quality and skilled labor that keeps apparel companies manufacturing in China. Careful inspection of a sample is key to producing a high-quality garment. 5) The Chinese will steal your intellectual property. Americans can be paranoid about intellectual property. More often than not, I’ve heard of companies being concerned that a factory might rip-off their design or pattern and sell it back into the US market. Of course this happens (ex: Chinatown knock-off bags) but in recent years, the Chinese government has grown increasingly diligent about protecting trademarks and clamping down on counterfeit goods. The Chinese understand that Americans are worried about this issue and realize that they must crack-down for fear of losing the trust of their largest trading partner. The factories we work with would never violate the trust of a good business partner because they know this would mean losing the contract. Conclusion: The exception does not prove the rule. The media and other influencers will try to use the exception to prove the rule. There are factories that are consistent offenders of labor laws that will cut costs at any chance, that are managed by people who lack scruples. These factories do not only operate in China. They exist in developing nations across the world, as well as in the United States and Europe. There are bad people doing bad business in every trade. My hope is that we do not make these people the examples by which we judge an entire industry. Because there are also some amazing factories that pride themselves in the jobs that they offer their employees, the product they manufacture, and the business they are building. Jay Hallstein and Katie Doyle are the co-founders of Brass, a women’s clothing brand sold exclusively online. The company will launch its premier line of women’s dresses in August 2014. Keep in touch here and here.